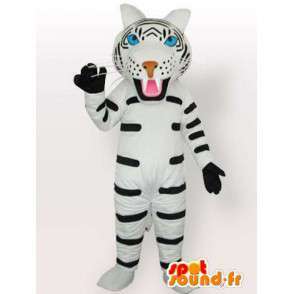 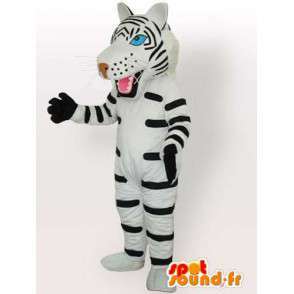 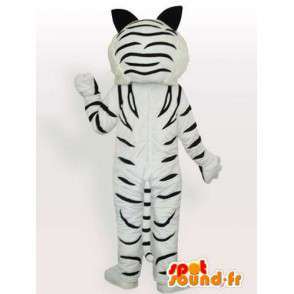 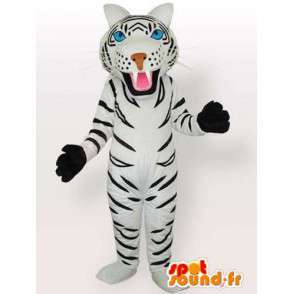 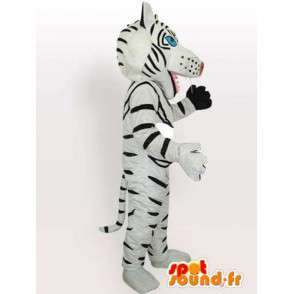 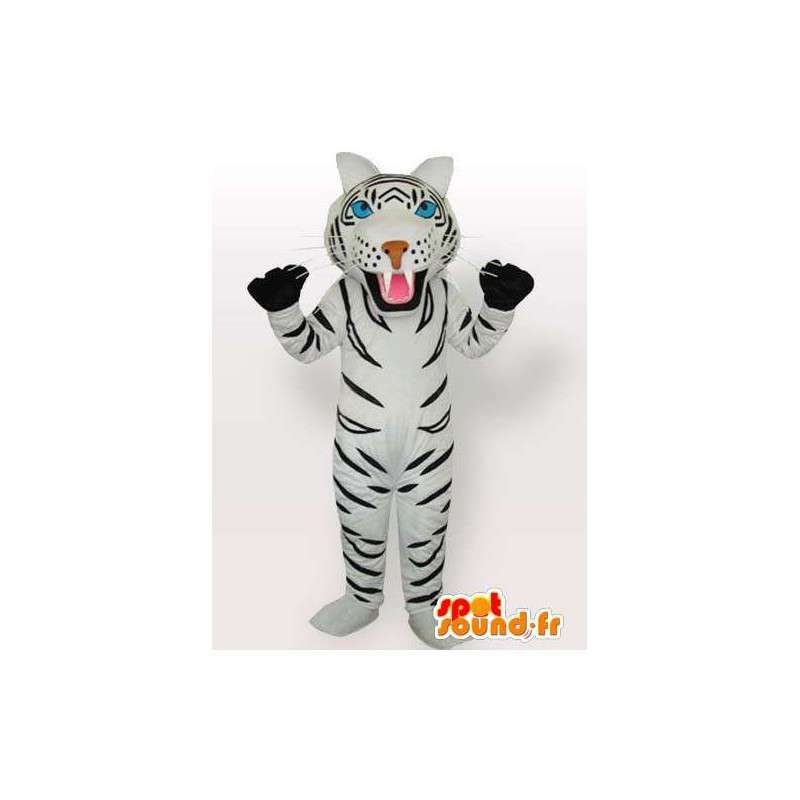 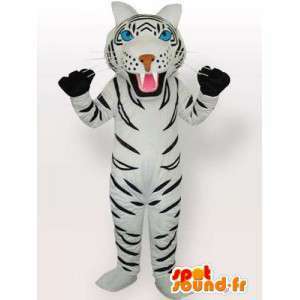 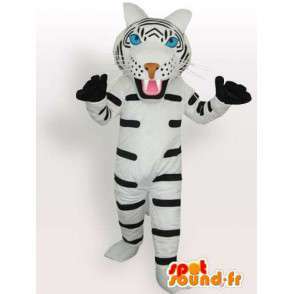 White and black tiger mascot a stripe with eyes blue and black gloves proposed for purchase on our website. 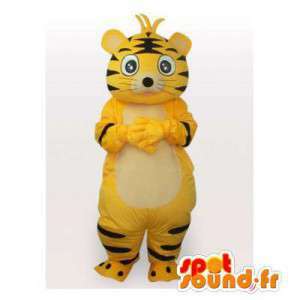 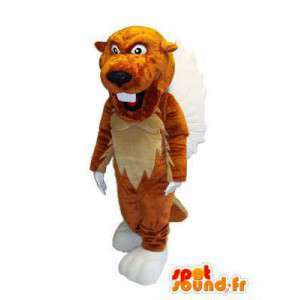 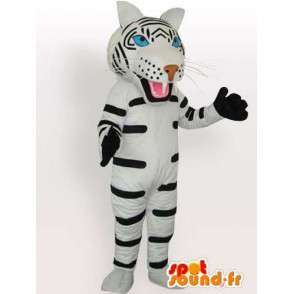 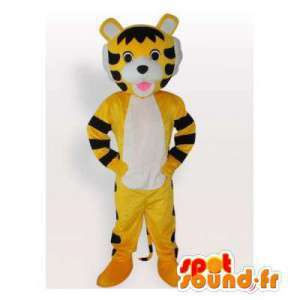 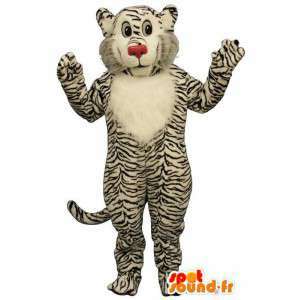 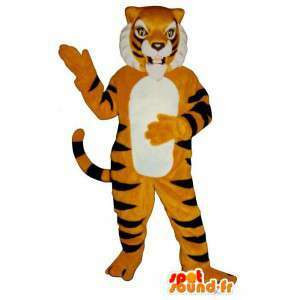 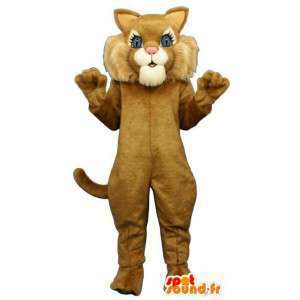 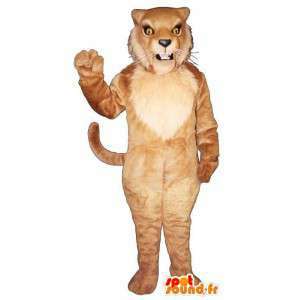 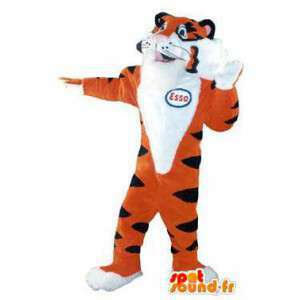 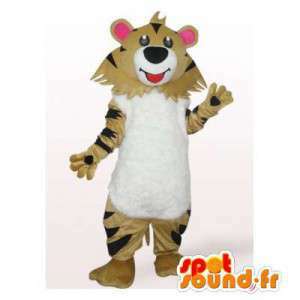 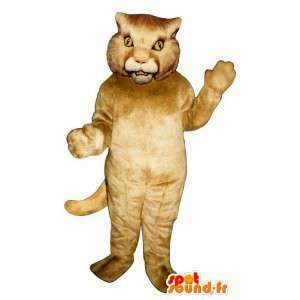 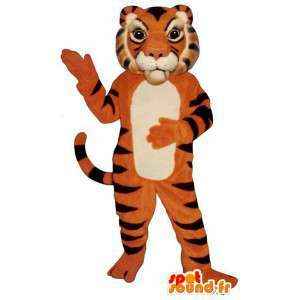 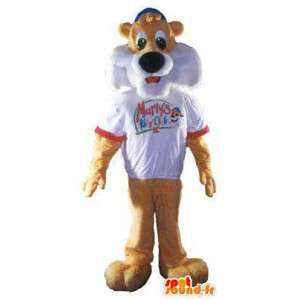 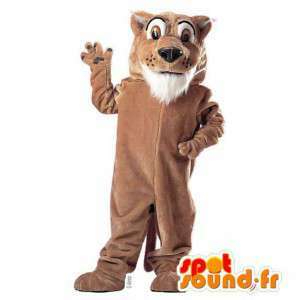 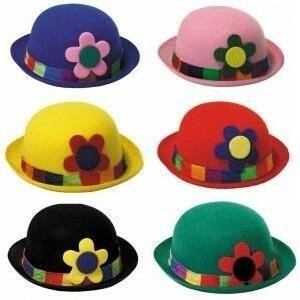 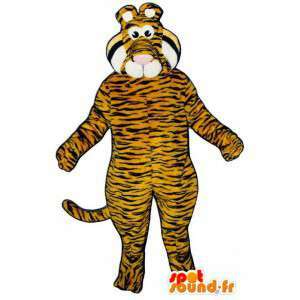 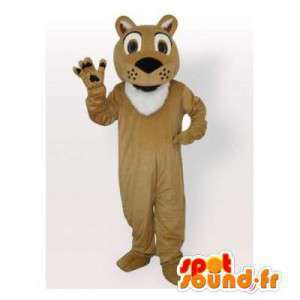 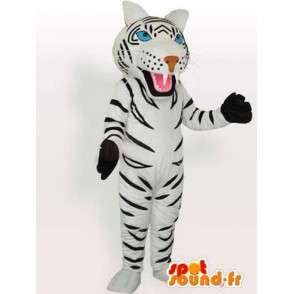 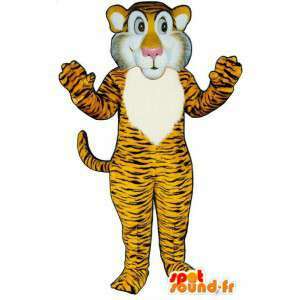 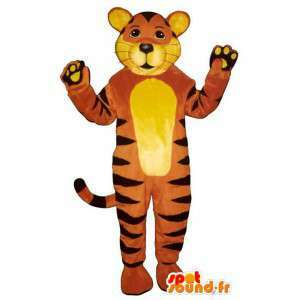 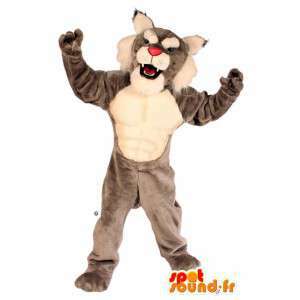 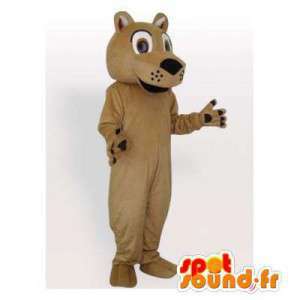 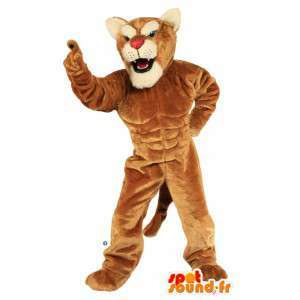 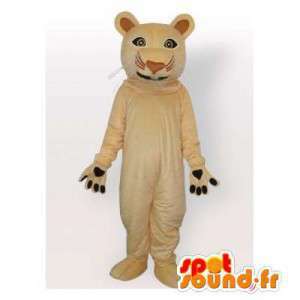 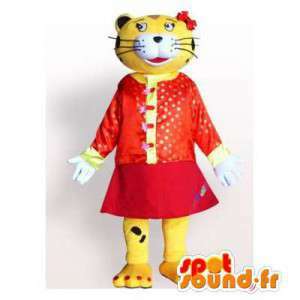 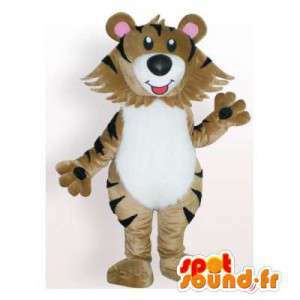 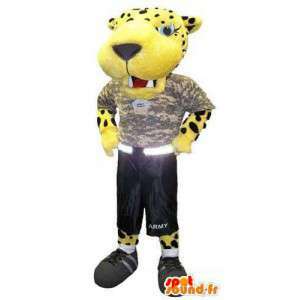 With our feline disguise of the Savannah, this is to say our Tiger, organize theme nights or commercial promotions. 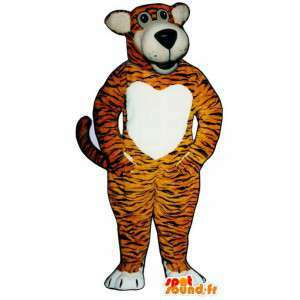 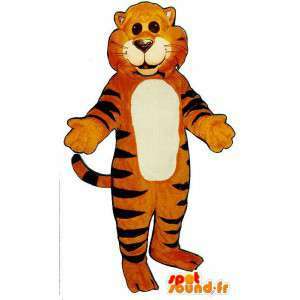 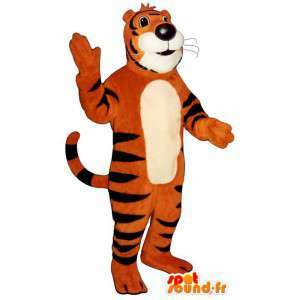 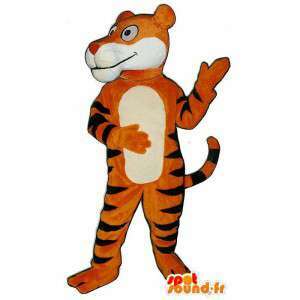 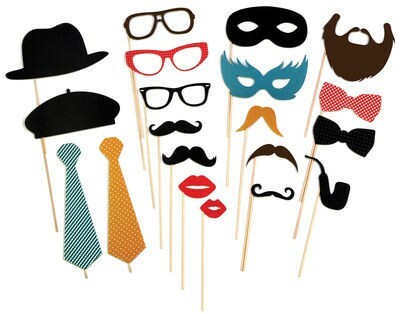 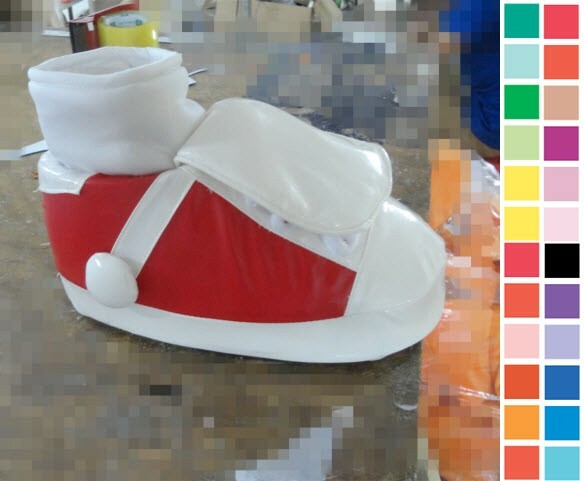 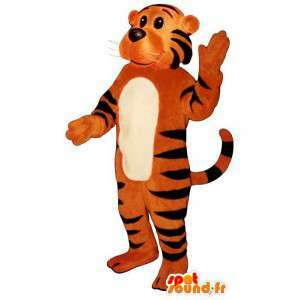 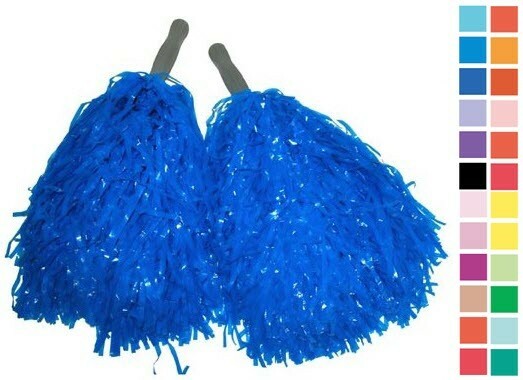 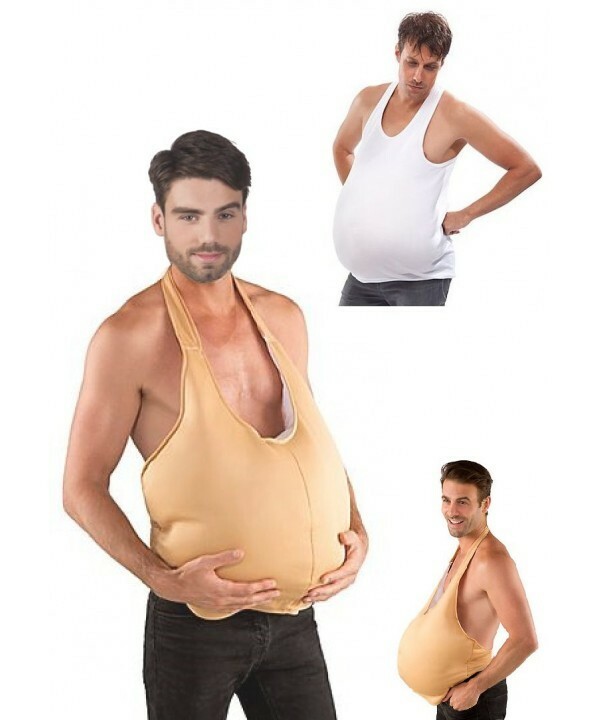 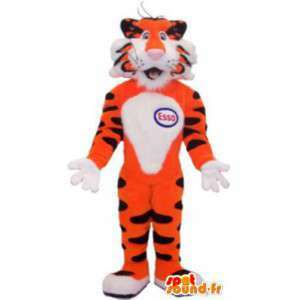 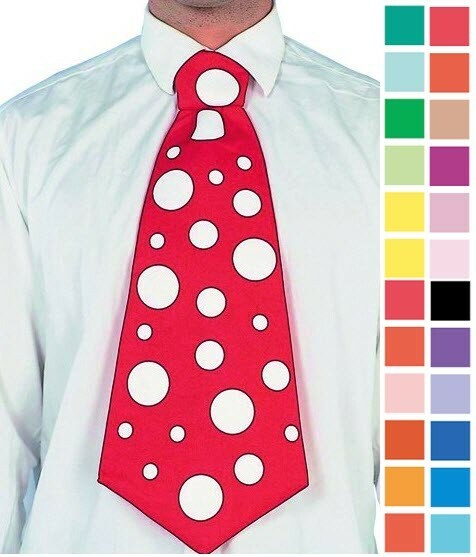 Our fancy dress of tigers are delivered with all their accessories around the world in record time (about 5 days).